What Airlines Have Ordered The Boeing 777X? The Boeing 777X is the next generation of aircraft under development at Boeing, set to bring the most modern performance, fuel-saving advancements to the world-renowned Boeing 777 line. But how successful has the pre-orders been so far? For a plane that has yet to perform its first flight tests, are airlines scrambling to put down orders or are they waiting to see? Why is the Boeing 777X so good? There will be two versions of the 777x, the -8 version (smaller capacity but a longer range) and the -9 version, who has the opposite trade-offs. In its most dense configuration, it will be able to handle around 414 passengers in two classes (like how Lufthansa will be operating the aircraft). Boeing 777X in Lufthansa livery. The aircraft will incorporate features developed for the famously popular Boeing 787 Dreamliner, such as a composite construction and a more comfortable cabin. It is also one of the first commercial aircraft to feature folding wing tips. The wingspan is simply so wide that it needs to rotate up its tips to fit into most modern airports. 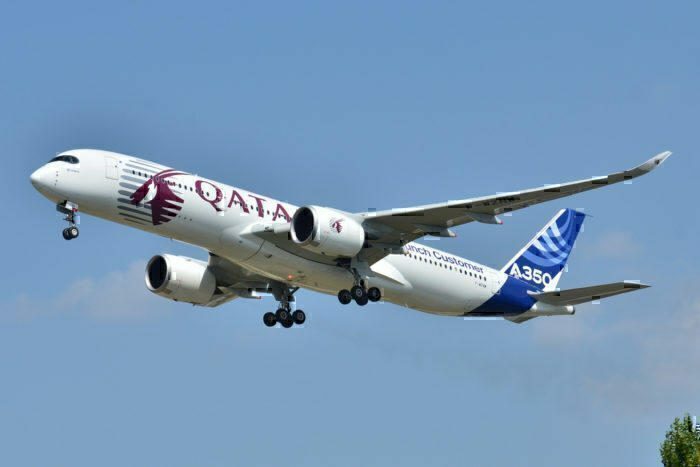 Some critics have mentioned that the Boeing 777x is easily beaten by the new Airbus A350, but we will leave that up to you to decide (check out our comparison article here). Who has ordered the Boeing 777X? So who has actually put their money where their mouth is and booked one of these new planes when it was announced back in 2013? Let’s look at the list below. 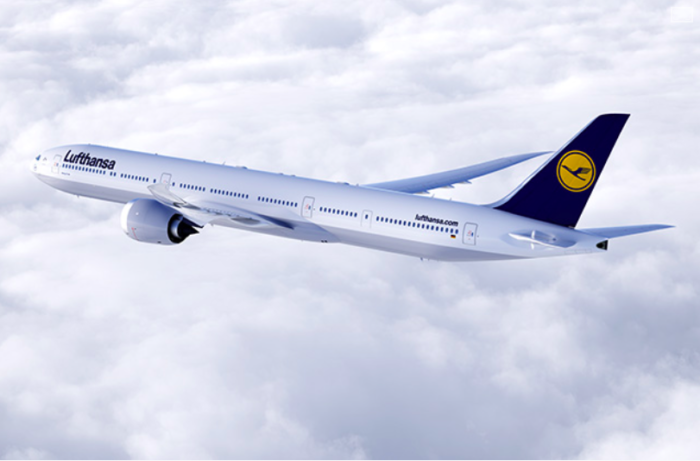 Lufthansa managed to become the launch customer of the Boeing 777X, ordering 20 777-9 variants to replace their aging fleet. 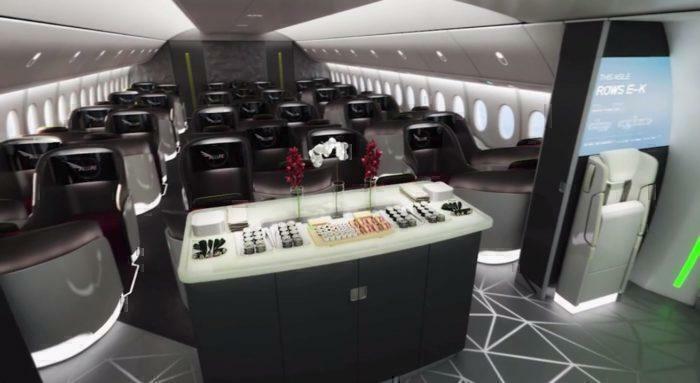 They have already been leaking the designs for their new business class on board and we have to say we are impressed. The new business class cabin features a bar area. Iran Air actually put in an order for 15 of the 777-9s, but unfortunately, due to the embargo on the country by the United States (the one that is making the stranded Norwegian 737 Max so hard to recover), Boeing was forced cancel the order. Emirates placed a huge order for 150 777x variants to replace its massive fleet of 777 aircraft (Which will start to be retired before the last older 777 version is delivered, if that makes sense). Etihad and Qatar both placed an order also, but have been slowly considering deferring the orders as they suffer various financial concerns. And there are plenty of other airlines currently eyeing the aircraft, from Qantas for its Australia to Europe direct routes and Turkish Airways. Despite using the Dreamliner for it’s longest routes right now, Qantas has said the 777X could be more cost-effective. The Boeing 777X is going to be a game changer for the aviation industry, airlines that operate it will be able to transport as many passengers as possible for a new rock bottom cost. We are sure this will be a milestone that only the Boeing 797 can beat! It will be a game changer. It’s the jumbo that isn’t a jumbo in terms of operating costs, airport restrictions, custom gate modifications, etc., and the distillation of an already fine aircraft with the breakthroughs of the 787. Uh…is anyone else just waiting for the plane crash that kills 400 passengers? It’s coming, of course. In light of the recent failures in flying technology, one would be ignorant to NOT expect a catastrophe. For me, I will find an alternative mode of transportation. The other reason that I am not at all excited is that this plane was built on the backs of taxpayer money. It has been more than a decade since Boeing paid a single penny in corporate taxes. Then add to that the more than 80% of travelers are writing off the cost of their flight under the guise of “business expense,” and you have a gigantic loser deal.